Describing Mar-a-Lago as “the so-called Winter White House” is pernicious at best, and I would argue it’s downright outrageous. No news organization, let alone one as prestigious in stature and as fastidious about style and usage as The New York Times, should ever describe Mar-a-Lago as “the Winter White House”. Prefacing it by “so-called” doesn’t make it right. So-called by whom? By Trump. His outrage is greatly misplaced. When Kennedy was president, the Times regularly referred to his Palm Beach home as the Winter White House. They described President Nixon’s San Clemente home as the Western White House and later used those same words to describe President Reagan’s Santa Barbara ranch. Mr. Gruber should save his outrage for the truly outrageous. Even if you hate Trump (as he seems to do), picking on the Times for this is just plain silly. Which came first, Office for Mac, or Office for Windows? The answer may surprise you! As a Mac consultant, I’ve met lots of Windows users who tell me they’d love to switch to Mac, but can’t because they save all their documents in Word and Excel. Even some who do know about Office for Mac think it was originally a Windows-only product that was eventually made available in a stripped-down Mac version. The truth may surprise you: Office was a Mac-first product. Not just the Office bundle, but each of the “big three” Office apps—Word, Excel, and PowerPoint—were released on the Mac before Windows. Mac users were using Word four years before the Windows version shipped1! Because Mac Office is so much less critical to our business than Windows, we have the flexibility to test out new things in the product and in its marketing before we try them on Windows," Waldman said, adding, "I've personally also found the Mac market interesting because I've seen so many trends appear there first, and eventually become important on Windows. For many years each new release of OS X would exclude some models that could run the previous release. Mac users see this as the cost of progress—new features sometimes require new or more powerful hardware. But that seems to have changed. When Apple announced OS X 10.10 Yosemite, they also announced that it had the same system requirements as 10.9 Mavericks, which in turn had the same requirements as 10.8 Mountain Lion. That’s three generations of OS X that have used the same system requirements, and quite a change from previous OS X releases. OS X 10.3 Panther was not supported on all Macs that ran Jaguar, excluding those that didn’t have built-in USB (like the beige PowerMac G3 models, and the first 3 PowerBook G3 models). OS X 10.4 Tiger was not supported on all Macs that ran Panther, excluding models that didn’t have built-in FireWire (like the first 5 iMac models). OS X 10.5 Leopard was not supported on all Macs that ran Tiger, excluding all G3 Macs and G4 Macs with CPUs slower than 867MHz. OS X 10.6 Snow Leopard was not supported on all Macs that ran Leopard. All the PowerPC Macs were excluded. OS X 10.7 Lion was not supported on all Macs that ran Snow Leopard. The earliest Intel models were left out. The last time Apple went released three major OS X upgrades without changing system requirements was back when OS X was new. OS X 10.0, 10.1, and 10.2 all had the same system requirements. If you want the short version of this post, here it is: Any time Apple asks you to log in, just enter your Apple ID and password. Buying a song from iTunes? Enter your Apple ID and password. Visiting the Apple Online Store to buy a new Mac? Enter your Apple ID and password. Making a Genius Bar reservation? Enter your Apple ID and password. There are not separate accounts for iTunes, iCloud, etc. They all share a single account, and that account is known as your Apple ID. If it’s so easy, then why do some folks find it so confusing? Mostly because Apple hasn’t done a good job of explaining it. Many users don’t realize that every Apple service and online store share a single sign-on. When you sign up for an Apple ID, your email address becomes your Apple ID. If you ever change your email address, you will need to change your Apple ID to match the new address. If you set up an iCloud email account (i.e. 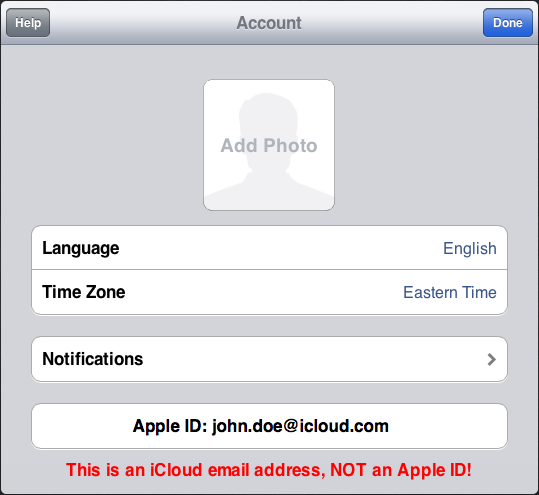 john.doe@icloud.com), you will now have two email addresses associated with your Apple ID. Apple conveniently accepts either address at any login prompt, but don’t let that confuse you. Even though your Apple ID is now linked to an iCloud address, your Apple ID is still your primary email address. 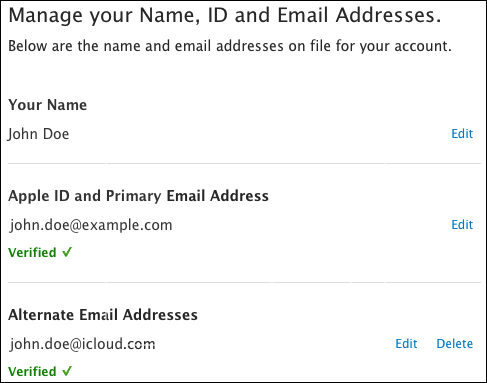 Making things even more confusing, the iCloud account panel incorrectly labels the email address as an Apple ID. This is just plain wrong. Just remember this: your Apple ID is your primary email address. If you enter a new primary email address, you will change your Apple ID, but not your iCloud email address (which cannot be changed). According to the Symantec’s 2011 Internet Security Threat Report, just three browser plugins accounted for 59% of all malware attacks using browser plugins. Most Mac users don’t need any of those plugins! Java is used on very few websites. None of the websites I visit regularly require it, and unless you’re sure you need it, I strongly suggest turning it off, if not removing it completely from your computer, be it Mac or Windows. OS X has PDF support built-in, so you don’t need the Adobe plugin. Flash is commonly used on the web, and most users don’t want to give up Flash entirely. I uninstalled the Flash plugin, meaning that I don’t see any Flash content in Safari, my preferred browser. On those occasions when I need to view Flash content, my workaround is to use the Chrome browser, which has Flash built-in. Since Chrome is a self-updating app, it will auto-install new versions of Flash as Adobe finds and fixes security exploits. Since I prefer Safari, I’ve installed a Safari extension called Eject to Flash. Now when I come across a web page with Flash content, I just press ⌘-E, and whatever page I’m viewing in Safari is automatically loaded in Chrome. If your preferred browser is Chrome, then just uninstall Flash; don’t worry, it will keep working in Chrome. Instructions for uninstalling Java on a Mac can be found here. Addendum for iOS users: You don’t need to worry about this, because Java and Flash aren’t (and cannot be) installed on iOS devices like the iPhone, iPad, or iPod touch. I used to hate trackpads, and with my first portable Mac, and iBook G4, I usually carried a USB mouse with me and used that instead of the built-in trackpad. But Apple’s switch to multitouch trackpads makes them so much more functional that when I got a MacBook Pro a few years back, I finally ditched the mouse. When the time came to upgrade my family’s Mac, I decided to replace the mouse with an Apple Magic Trackpad. It works very well, and my only complaint is that it’s only available in a battery-powered Bluetooth version. I know Apple seems to love cordless keyboards, mice, and trackpads, and of course I like them too. But I hate the dependence on batteries. I’d rather have a corded USB trackpad, if only Apple would sell me one. Installation couldn’t be easier. 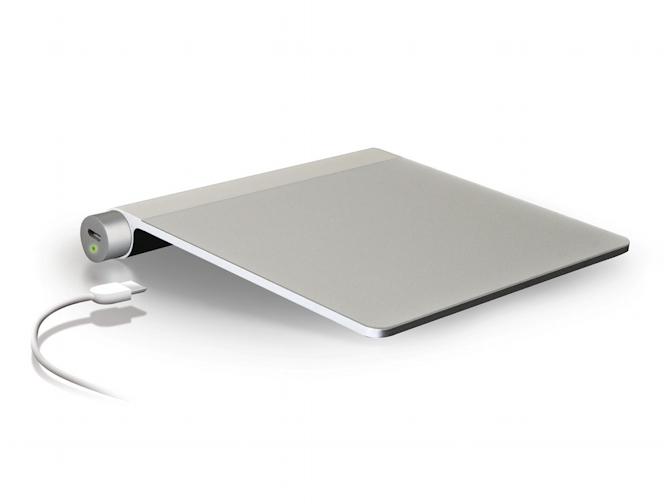 You simply unscrew the Magic Trackpad batter cover (which you will no longer need) remove the existing batteries, and pop in the Power Bar. It’s threaded at one end so it screws in just like the original battery cover. There’s a micro-USB port on the end. You use the included USB cable to plug it in, and let it charge. The mobee Power Bar is available for $32 (with free shipping) from Amazon. Cellular carrier T-Mobile announced (and Apple confirmed) that they’ll be getting the iPhone in 2013. And they also announced that they’re ending smartphone subsidies. For those unfamiliar with how the subsidy model works, a brief explanation: All the big cellular carriers make their money selling 3 types of services: voice minutes, text messaging, and internet connectivity, commonly referred to as talk, text, and data. Data is especially profitable—AT&T charges an extra $50/month for a 5GB data plan. Add in the talk & text charges, and the total monthly bill is $110 to $140.1 Of course, only smartphone users need data plans, and so carriers want to encourage as many customers as possible to use smartphones. And one of the tricks they use to encourage smartphone ownership is subsidizing the purchase price of the phone itself. At the end of 2 years, if the customer keeps their existing phone, their profit magically goes up by $19/month, since they no longer have to pay off that subsidized phone. AT&T does not lower the service price after the subsidy is paid off. But T-Mobile is going to change things. Right now they offer a plan for unlimited talk, text, and data for $50. Two years of that service is $1200. Add in the $650 cost of the iPhone, and your out-of-pocket expense is $1850. You’d pay almost twice as much — $3,560 — with AT&T for the same phone and similar service. Furthermore, T-Mobile will let spread the payments out over 24 months, meaning that you don’t have to pay for that $650 iPhone in advance. So what will happen when T-Mobile gets the iPhone? My guess is that lots of users will switch. (For technical reasons most current iPhones can’t easily be switched to T-Mobile’s network, but that will likely change with the next iPhone model.) Eventually AT&T, Verizon & Sprint will be forced to compete, offering discounted rates for customers who buy their own phone. Everything I’ve written above is reasonably obvious, so now let me get to the unforeseen consequences mentioned in the title to this blog entry. So Verizon et. all. like Android phones because they are cheaper to subsidize and don’t place a heavy burden on their data network. Now, what happens when the subsidies disappear? Android users may figure out that they’re paying for data they aren’t using. They’ll switch to cheaper data plans, or maybe even turn off data completely (if their carrier lets them). And carriers suddenly have no one who wants to buy data — except iPhone users! The unforeseen circumstance which I’m predicting here is that the end of the subsidy model will lead to carriers favoring iPhones because iPhone users will buy lots of data. Time will tell if I’m right. If anyone spots any errors in spelling, grammar, or logic, please let me know. If I agree, I’ll acknowledge & correct the error, and give credit to whomever first brought it to my attention. There is a widespread perception that installing third-party upgrades can void your warranty. My consulting clients are sometimes hesitant to use non-Apple memory, or 3rd-party hard drives to upgrade their Macs. In the United States, federal law protects consumers who want to use 3rd-party parts. Upgrading your computer does not void your warranty. You can buy your RAM, hard drive, or other parts from any third party. Likewise, you are not required to use an authorized service provider to install those upgrades. Generally, tie-in sales provisions are not allowed. Such a provision would require a purchaser of the warranted product to buy an item or service from a particular company to use with the warranted product in order to be eligible to receive a remedy under the warranty. The following are examples of prohibited tie-in sales provisions. In order to keep your new Plenum Brand Vacuum Cleaner warranty in effect, you must use genuine Plenum Brand Filter Bags. Failure to have scheduled maintenance performed, at your expense, by the Great American Maintenance Company, Inc., voids this warranty. So if your Mac or PC is still covered by the original warranty (or an extended warranty like AppleCare), and you want to upgrade your RAM or hard drive, go ahead. Better yet, pay me to do it for you! Note: If you accidentally damage your logic board when you’re installing an upgrade, that probably will void your warranty. Accidental damage is usually not covered, and it doesn’t matter if the accident was spilling water in your keyboard or breaking a connector while installing a new hard drive. So if you’re not confident about your skills, you’re probably better off paying someone else to handle it for you. Disclaimer: Magnuson-Moss is a US law, so of course it doesn’t apply outside of the United States. I’m not familiar with warranty laws in other countries. For many years now Macs have offered what Apple calls a Firmware Password. This special kind of password needs to be entered before you boot the machine, offering an extra layer of security. This password prevents a hacker from simply booting your Mac using an external drive or optical disc to gain access to the files on your internal drive. Fortunately, this was easy. It wasn’t well known, but simply changing the amount of RAM would remove the firmware password. So I’d open the Mac, remove a memory card, and reboot. The firmware password would then be removed. Then I simply replaced the memory and my client would once again be able to use his or her Mac. Starting last year Apple switched to a much more secure system for firmware passwords. The new system provides no method for independent techs like myself to remove it. These days, if you need a firmware password removed, you must take it to an Apple store or authorized service facility. Resetting it requires retrieving a special code from your Mac, feeding that code into a special app that app generates an unlock code. The code is unique to each Mac, and Apple has kept a very tight grip on the app that generates the unlock code. I don’t generally recommend using a Firmware password. If you need your data to be secure, your best bet is to turn on FileVault, the Mac’s built-in encryption feature. For more details about how the new firmware password system works, I recommend Topher Kessler’s CNET article on the subject. There’s a well-known business model whereby a company sells some product (like razors) at or below cost, with the expectation that they’ll make their profit on the supplies (like blades). Printers and ink follow the same model. Back in 2003, Apple turned that model on its head when it opened the iTunes music store. Selling songs for just 99 cents, the store didn’t make a profit, but it did fulfill its purpose of promoting iPods sales. In effect, they were selling blades at cost to promote razor sales. These days Apple sells not just songs, but apps, music, movies, and other content. Their pricing has changed, but not their intent. Except for the songs, all the apps and content play only on Apple devices. Amazon makes money selling just about everything. And their tablets are designed to encourage users to shop at Amazon buying not just digital media like songs and movies, but physical goods as well. Apple’s model is to profit by selling great tablets. Broadcast TV and basic cable channels give you the content for free, making their money by selling advertising. HBO makes their money by selling their content without advertising. Both have been around for years, and there’s clearly a market for both free and pay TV. I think there’s going to be a market for both kinds of tablets. Users who care most about price will gravitate toward Google’s Nexus or Amazon’s Kindle Fire. Users who care most about the user experience will gladly pay a little extra for an iPad. Mike Galos on Which came first, Office for Mac, or Office for Windows? The answer may surprise you! qka on Which came first, Office for Mac, or Office for Windows? The answer may surprise you!